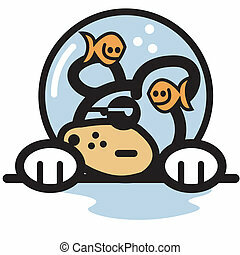 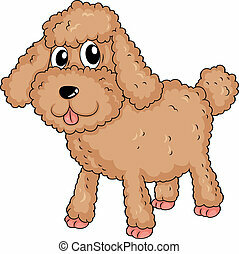 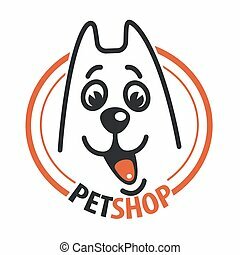 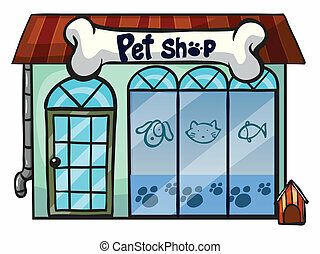 A pet shop. 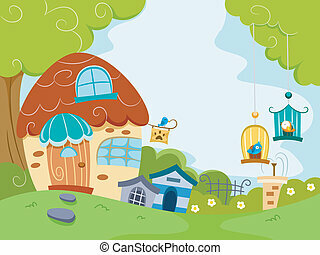 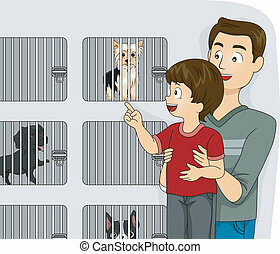 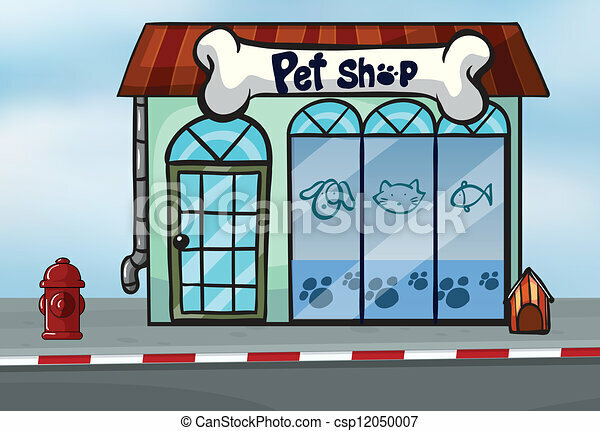 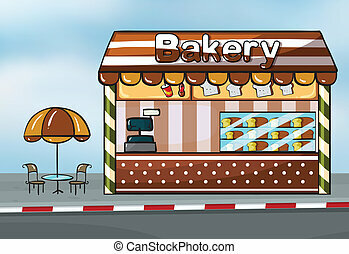 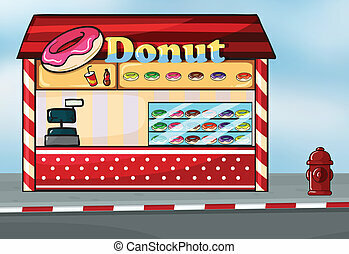 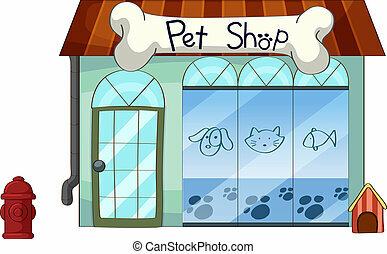 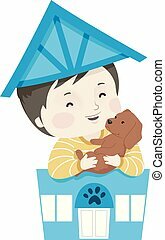 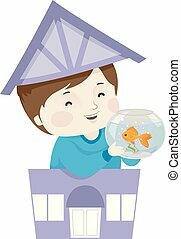 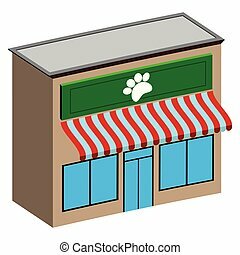 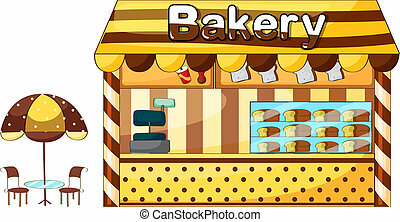 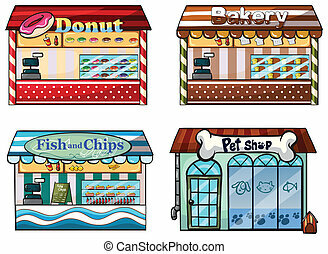 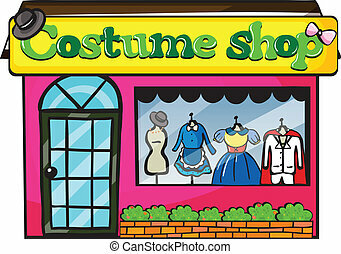 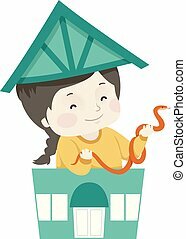 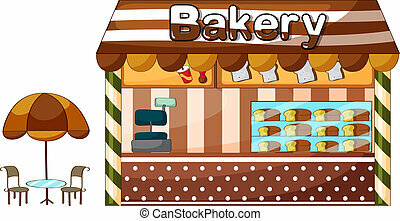 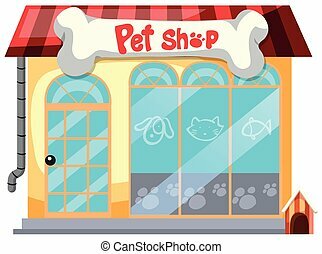 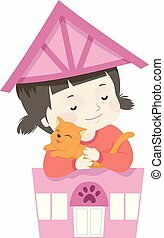 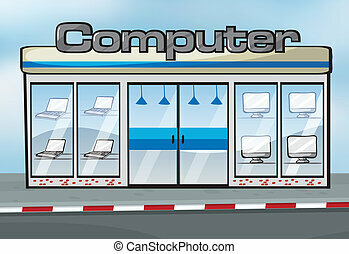 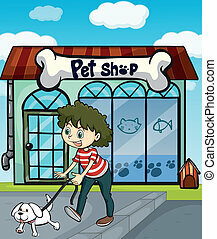 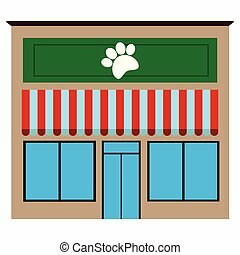 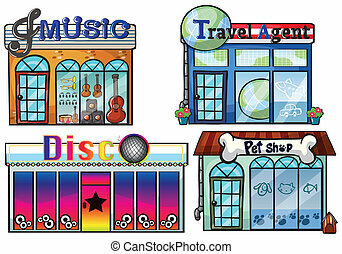 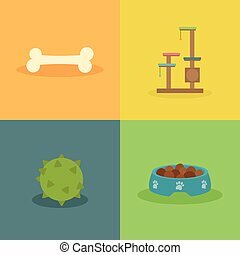 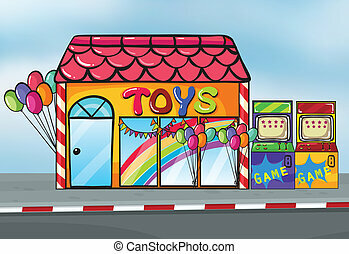 Illustration of a pet shop near a street. 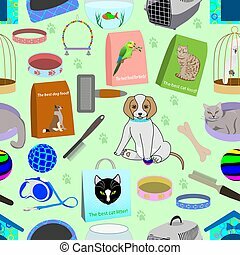 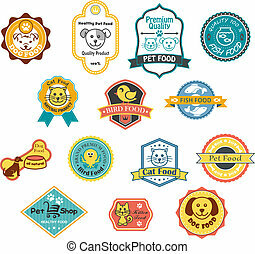 Seamless pattern for a pet shop - birdcage, bowl, toys, aquarium, pet food, combs, leash, collar, cat's house, cat-carrying, balls etc.